It's the Steam Autumn Sale! You know what that means! Destitution. The Steam Autumn Sale is upon us, and with thousands of games at discount prices it can all seem a bit daunting. If you’re just looking for something new to play (or perhaps some digital stocking fillers for friends), we’re here to help with this list of recommended bargains. Here are ten games selling for less than ten pounds, but hurry – sale ends November 27th. 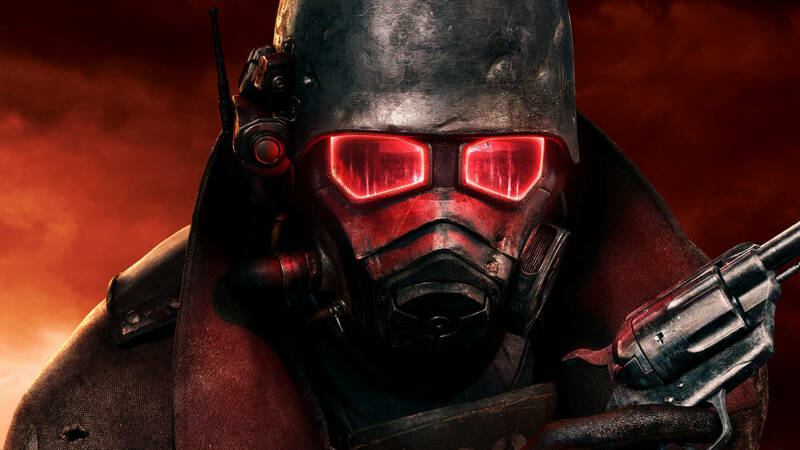 Set around the ruins of post-apocalyptic Las Vegas, Fallout: New Vegas features all of the gun-toting, mutant-killing action and rich RPG storytelling that the series is best known for. With hundreds of hours of potential gameplay, this deal has some serious bang for your buck and is a great starting point to the Fallout franchise if you don’t want to shell out for a newer release. An oddly relaxing experience, Euro Truck Simulator 2 sees you ferrying goods between various European cities and then spending the profits on expanding your trucking empire. There really isn’t much else to it: you just drive trucks. Yet ask anyone who’s played it and they’ll tell you there’s something strangely pleasing – perhaps meditative – about gliding through the countryside with fifteen tons of baked beans in tow. You’re a little robot who has fallen from the sky and must get back to his mothership by climbing a giant plant. There are no enemies and few perils, but the game still thrills you with each jump over an increasingly huge drop. This is a short, sweet and beautifully presented experience that’s well worth it for a few hours of zen. With the recent release of HITMAN 2, you may be interested to check out the series but hesitant to splash your cash on a brand new game. For this, look no further than Blood Money, a razor-sharp sandbox assassination experience that still holds up today. Meticulously plan your route through each level and kill your target without leaving a trace – or just go in guns blazing and murder everyone. The choice is yours. No PC is complete without it. This edition of the classic park-building sim contains the Wacky Worlds and Time Twisters expansion packs, meaning more missions, more rides and more scenery than you can shake a stick at. For a quaint, nostalgic and gently addictive timesink, RollerCoaster Tycoon 2 is just the ticket. This indie gem has you take on the role of a mercenary who boards hostile spaceships for cash. Each mission has a specific goal, be it freeing a prisoner, stealing an item, wiping out the crew or commandeering the ship itself. Where this game shines is its ingenious and fast-paced combat system, allowing the player to make use of clever item combos and environmental hazards to dispatch enemies with gusto. Add to that a system for procedurally generating spaceships and you have hours of unique fun. There are zombies. Lots of them. You’re trapped inside a giant entertainment complex (think Vegas) and can pick up almost anything to use as a weapon. This one is ridiculously good fun, allowing you to dispatch zombies in all manner of silly and creative ways. Complete story missions and help survivors escape, or just strap two chainsaws to a canoe paddle and wade into a crowd of the undead. The only things you need to know about Duck Game are that you control a duck and there’s a dedicated quack button. If you’re not sold already: it’s a multiplayer-driven experience in which you and up to three other ducks try to murder each-other in a series of quick-fire (or should that be quack-fire?) battles, using a variety of cool and bizarre weapons to do so. Grab this one if you have a few friends who are up for a laugh. Another one to play with friends, but this time something a bit more involved. Killing Floor 2 pits a team of survivors against increasingly difficult waves of mutant Zeds in an all-out violent bloodbath. Players can pick from one of several classes, determining which weapons they are proficient with. Teamwork is essential: players must look out for each-other, and assign roles and responsibilities amongst the team. Who will be the medic, and who will take out the big Zeds? There’s plenty of meat here to support days of co-op playtime. With the upcoming release of Civilization VI: Gathering Storm, perhaps you’re interested to see what the fuss is about. For a palette tester, why not pick up Civilization V? It’s not the most recent game in the franchise, but it still has an active userbase and holds up well. In this popular series of grand strategy games, you pick a historic leader (such as Caesar, Ghandi or Genghis Khan) and then build their empire, starting at the dawn of the agricultural revolution and running all the way through to the not-so-distant future. Civ V is a complex game with a steep learning curve, but deeply rewarding for those who enjoy its challenges.